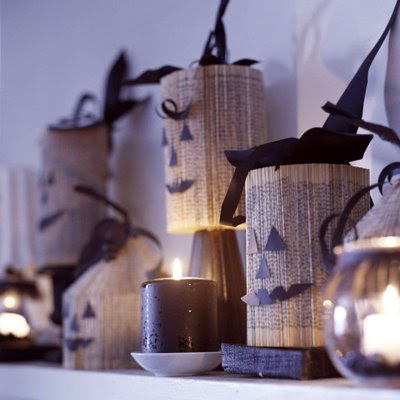 I love decorations made from old book pages. My love started way back in 2008 with these paperback jack-o-lanterns. 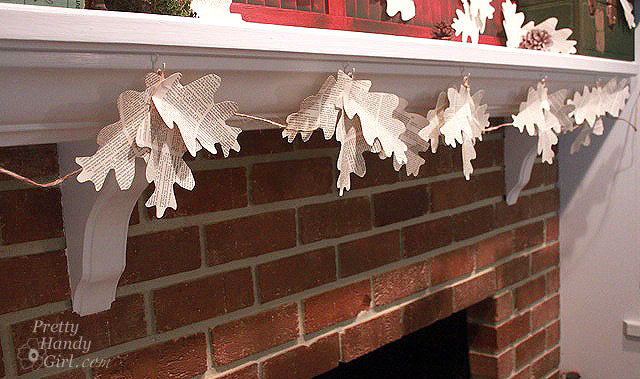 And it continues today with this fun Fall book page garland that Brittany created for her mantle. 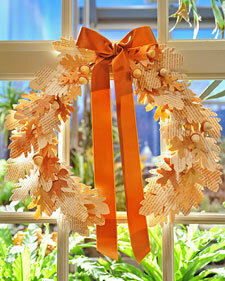 She was inspired by a book page leaf wreath that she saw on Martha. And with the help of Martha's Fall leaf template or Brittany's oak leaf template you can create all sorts of Fall themed crafts. You can see the tutorial for the Autumn book page leaf garland over at Pretty Handy Girl and the Fall book page wreath over at Martha Stewart.